With the support of superabundant expertise of this domain, we are instrumental in supplying high-quality Twin Lobe Roots Blower. These blowers are precisely designed by skilled expertise by using high-end technology, which makes them dynamically balanced and superior finished. 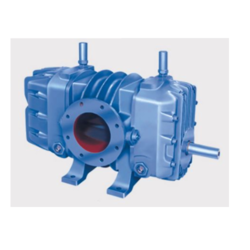 As these pumps possess high capacity and low maintenance aspects, these blowers are widely used in heavy engineering industries. Looking for Twin Lobe Roots Blower ?